Thread: ROY Club. Passive income. Joint paramining cryptocurrency PRIZM. Seeing as money doesn't grow on trees, how is the investment return created? ROY is a joint mining of cryptocurrency PRISM which is officially supported by the creator of cryptocurrency PRISM. OK. But when it comes to cryptocurrency mining, it seems in the current environment it is a good way to lose money rather than make money. You have focused on how many investors you have attracted and on return predictions. What have the investment returns been like over the past four months? And as an investment scheme, what authority is ROY accountable to? If all the money just vanishes, who do the investors ask questions to and hold accountable? 2. Vozvrat investitsiy za vso vremya raboty (pyat' mesytsev) sostavil %170. Boleye tochnymi dannymi ya ne raspolagayu. 3. Den'gi ne mogut ischeznut' prosto tak, yesli investor soblyudayet pravila lichnoy bezopasnosti o katoroy my tak chasto pishim v telegram i drugikh informatsionnykh kanalakh. Klub ROY ne yavlyayetsya finansovoy piramidoy, potomu chto kazhdyy uchastnik soobshchestva imeyet vozmozhnost' 24 chasa v sutki, 7 dney v nedelyu, v lyuboy moment vyvesti vse svoi nakoplennyye monety, dazhe yesli 100% uchastnikov zakhotyat eto sdelat' v odin den', to oni legko smogut eto sdelat'. Vyvod dostupen v lyuboye vremya i v lyubom kolichestve! 2. Return on investment for all time (five months) was% 170. I do not have more accurate data. 3. Money cannot disappear just like that, if an investor observes personal safety rules about the Cator, we so often write in telegrams and other information channels. ROY Club is not a financial pyramid, because each community member has the opportunity, 24 hours a day, 7 days a week, at any time to withdraw all of their accumulated coins, even if 100% of the participants want to do it in one day, they can easily to do. The output is available at any time and in any quantity! You have not answered this question. Investors themselves are responsible for their investments, investors have the right to choose what to invest in and how much. I offer one of the investment options, which in my opinion is profitable and interesting. I do not urge to invest the last money or to take credit for this! You need to invest wisely! The investor has the opportunity, 24 hours a day, seven days a week, to withdraw all their investments. The number of participants in our club exceeded 10,000! But only 4 months ago we started practically from scratch. It became possible thanks to you all, everyone contributed to the development of the Club, because even a small step is a movement forward. We have passed through many obstacles, performed the most difficult tasks. We withstood scam attacks on wallets and did not break before technical problems on the PRIZM network. We actively developed our networks and worked on community development. Today, ROY is developing not only in the CIS, but also in other countries. People learn about our community more and more and actively join. Thanks to us, not only the ROY Club is developing, but also the PRIZM cryptocurrency as a whole. Congratulations - you are all great! And this is only the beginning of the journey. Ahead of us are waiting for new heights and challenges. And we will cope with everything! Invest in joint paraming at the ROY club. 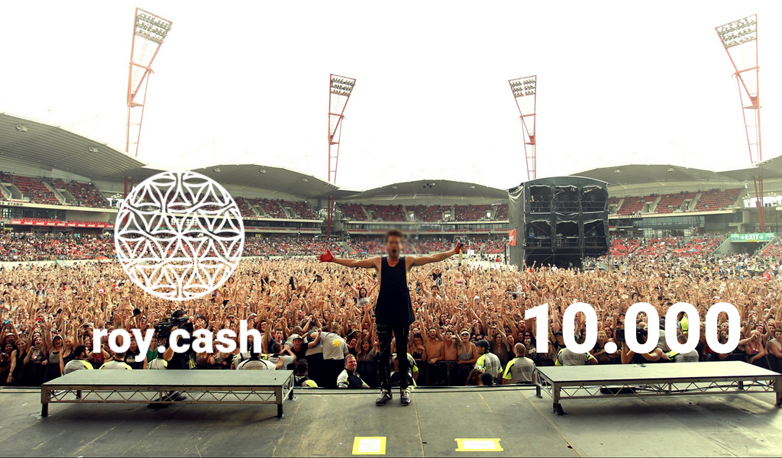 Did you buy a license to use the 30 Seconds To Mars live concert image before you edited it to blur out the face? You need to invest wisely! In other words, do not invest in this scheme. I mean seriously - even after we ignore the smoke, mirrors and flashing lights as to just how any return is being generated in the first place, is it wise to hand over money to an anonymous, untraceable entity as an investment? This photo was purchased on the resource "wallpaperscraft"
In other words, this is one of the ways to earn money. everyone has the right to decide whether it is interesting to him or not. The project is based on anonymity, as in principle cryptocurrency. Nobody knows the creator of Bitcoin, but at the same time it is a very promising tool for investment. Joint ventures, VAT and income tax.